Take a Back Seat to SB 1108 (Guns)? http://wetip.net. Meet me there, I have a speaking slot. http://www.crossroadsgunshows.com I'll have one of the 1,200 tables. I need a break from dissecting the endless nonsense from the "news" media. It's the same old same old -- the global Muslim jihad is disguised as "terrorism,"
statist (government) perspective permeates so much of the material. Remember -- If you watch ABC or NBC you'll C... BS. has released a significant statement on Constitutional Carry. The LA Times, The Washington Post and others. It needs the light of day. It is short, sweet, right on the money, included unedited below. a fundamental issue of national significance. The first of a series of billboards is now up on U.S. Interstate 17, facing southbound traffic into Phoenix at the Peoria exit, reaching 135,000 people daily. Should SB1070 Be Secondary to... SB1108? The entire world, driven by news reports, has fixated on the enormous illegal-immigrant invasion Arizona has suffered under for years. The invasion had previously been ignored, a news-media black hole from which little information escaped. The catalyst for the attention is my bill SB1070, empowering our law-enforcement agencies to deal with the invasion. We passed it because the federal government is aiding and abetting the invaders, instead of stopping them and defending the nation against a flood of biblical proportions. But SB1070 is a simple criminal statute, enacted to treat symptoms of a harmful crime -- sneaking into our nation to commit felonies, leach off our successes, eat out our substance. A different law, SB1108, for which I am equally responsible, is the more important act. SB1108 is no simple crime-control law. It repeals outrageous infringements to the Bill of Rights, reinstating wholesome fullness to the right to keep and bear arms. The media however, driven by a nearly fanatical racist miasma, blindly focused on the immigration-crime law -- finding racism where none exists -- at the expense of even noting the strengthened Bill of Rights, despite a packed news conference for SB1108. Civil rights were reborn here on the same day the anti-invasion bill took effect, but this was ignored. While reporters cried racism, “Constitutional Carry” restored fundamental civil rights to anyone on the planet who enters Arizona legally. We've extended these rights to all people of Earth. The God-given right to protect family, property and yourself from physical harm has been accepted since civilization's dawn. 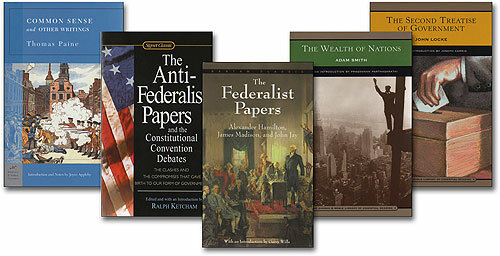 Our Founders ensconced it in the Constitution. This was uncontroversial and well understood, a deeply rooted basic human right until recently, when forces of darkness began attacking truths we hold to be self evident. Arizona now enjoys more robust protection for the right to arms than anywhere on Earth. How could media pundits miss that? In times recently past, a law that frees every decent adult on Earth to carry a gun with no prior permission would have precipitated a national uproar. Are the media just tired of crying wolf? They screamed about imminent blood-in-the-streets when Arizona's gun-permit law passed in 1994, but nothing ever happened (and they never apologized). They convulsed recently, anticipating wild-west mayhem when gun bans in National Parks were repealed. Nothing happened (not even remorse for the fear mongering). When Arizona's restaurant gun ban was lifted a year-and-a-half ago, we endured fantasies about impending homicidal frenzy from “shotguns in nightclubs,” but it turned out that breakfast at Denny's or lunch at Applebee's remained tranquil. No correction has been issued or is expected. So should the media pay attention to a law that restores our rights, instead of one that hampers criminals? Does it really matter that states nationwide now seek and are clamoring for Constitutional Carry for themselves? So what if Arizona frees its women to put handguns in their handbags, go about their business, and return home without fear of arrest? 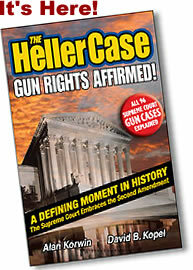 The bill's chief advocates, the Arizona Citizens Defense League (azcdl.org) spent five years reaching this point. Americans are carrying guns but no one's getting shot? Who cares? Most of all, why tell people that government's exit from the enforced-training regimen is a business-stimulus plan? Private enterprise has launched the TrainMeAZ.com campaign to promote “a culture of marksmanship” and gun safety to every resident. 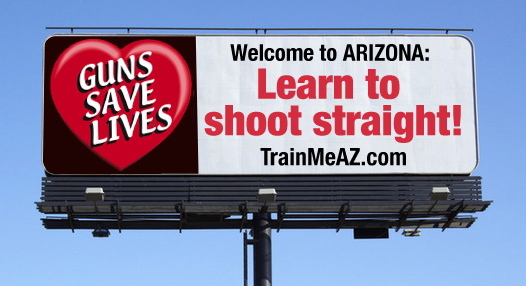 This is Arizona -- learn to shoot straight. Marksmanship matters. Teach your children well. Why cover that, even if it is going up on billboards statewide? Constitutional Carry and the TrainMeAZ campaign have ignited a firestorm of entrepreneurism, and rekindled a burning desire to restore the nation of marksmen our Founders envisioned. I personally urge America to examine what we've done with Defensive Display, Castle Doctrine inside and outside the home, Burden of Proof, Specious Lawsuit Immunity, Firearms Freedom Act and more. Emulate the freedom of spirit thriving in the Grand Canyon State. Visit and experience life as a free adult, not a ward of the state. You may not want to leave. And if you do, you'll take the spirit of freedom home with you. Russell Pearce is the Republican State Senator from Arizona legislative district 18 and author of the anti-illegal immigration bill SB1070, and the Constitutional Carry law for firearms, SB1108, neither of which are controversial in point of fact. You’re gasping for air. You’ve just stopped a would-be murderer cold with your sidearm—four rounds to the chest. Do you have the right to remain silent? Then why would you immediately dial 911 and talk into a police voice recorder? How do you make that call and stand on the advice that says, “Don’t say anything”? After You Shoot, my latest book (due out this month) answers these life-or-death questions. After you shoot in self defense, you face a possible murder trial. Even if you're completely innocent. And that may be a bigger risk to you than the would-be killer you just stopped. According to criminal-defense attorneys, half of all convictions for self-defense incidents rely on frantic traumatized 911 tapes. As a bonus, the media will air your voice nationwide for weeks. That can’t be right. Do you have the right to an attorney during questioning? What about Fifth Amendment rights against self incrimination? Can you call 911 and protect yourself? You cannot. When you call 911 after saving your life with gunfire, you are giving up the crucial life-saving rights you think you have. And that’s wrong. The dangerous snare of 911 recordings is built right into our American self-defense system—and nobody has looked at it hard—until now. After You Shoot lights up this overlooked problem and provides common-sense, workable solutions to these horrors—vicious traps that threaten every gun owner and innocent crime victim in America. If you have a gun for self defense, find out how you should protect yourself—After You Shoot. More than 75 experts spoke with me and wrote to me about this. 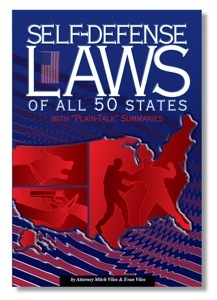 People like cops, prosecutors, judges, lobbyists, top-level firearm trainers, other authors, attorneys by the dozen. Their reactions are stunning. Many had never considered the problems very deeply -- it never dawned on them! Too many took a statist (government) approach that you should simply call 911 and not worry! Or only say X, Y and Z, so you'd "get off" later, as if you could do that with your blood pressure through the roof and your body shaking from the adrenaline dump. And what about when the second responders -- you are the first responder -- arrive on the scene. Should you babble as most people do? Stand in mute silence? Try to exonerate yourself and "get yourself off"? Well for one thing, when they (the state) read you your rights, would it be unreasonable for you to read them your rights? The proposed Adnarim (reverse Miranda) statement addresses this head on. It's not uncommon for defense attorneys to put a statement on the backs of their cards for clients to use. Is that a good idea? What should it say? This book fires that concept up a few notches. Bottom Line -- If you have a gun, you must know what your options are, after you shoot. 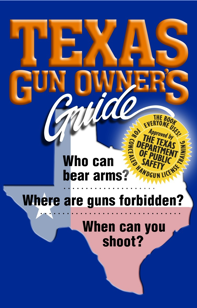 This book will open your eyes like never before, and provide you with options you need to know to stay safe and free, After You Shoot. 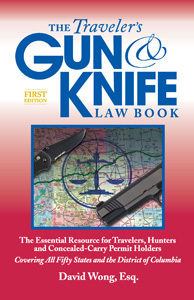 discreet carry of firearms by ANY law-abiding adult in the state. Legislators nationwide are considering this significant new law. We got ours by simply repealing the carry-ban language -- no new law needed! A main operating principle behind TrainMeAz is to get the entire public on the bandwagon and out to the range. What a marvelous state that would make us, the envy of the nation and the free world. "Make it so." When I give a speech (and I give a lot -- your group can be next) I encourage the audience to organize a Range Day. The average person on the conservative side of the fence voices support for the Second Amendment but -- have they demonstrated that support? When was the last time they went to the range and exercised liberty's teeth? For some of them, it's never. Some have never actually held a real gun in hand. What a shame, but what an opportunity! Don't just talk the talk, walk the walk! It's easy to get them fired up about learning a stance (they watch me take one), grip (I draw an imaginary sidearm and show Weaver), and align eyes and body for a shot. They get a thrill, buoyed by the numbers of their group they imagine might actually do this with them. Many groups have taken the challenge -- and man oh man do they come away with bragging rights and ear-to-ear grins! Let them know the inner secret for coming back home with a perfect target souvenir. Set out a blank piece of paper, shoot it once at close range, and then draw a target around the bullet hole. Works every time! You want to DO SOMETHING to move the cause of freedom ahead? Get your Tea Party or Legislative District meeting to organize a Range Day. Put them through a gun-safety routine. Let them handle a firearm (be sure to start beginners with a .22). Get them charged up about the rights they have -- by exercising those rights. The best part may be hard to measure. How do you think the democrats are going to feel when they find out that all the republicans are learning how to shoot?! Regarding Freedom To Carry in Arizona -- This is fantastic news. Man, this is going to be great. Makes me want to take a trip to Arizona just to breathe some free air. --Clair S.
Now what I'd like to know is whether there's any way to get my fingerprints out of the FBI database. I, as a responsible, law-abiding citizen of the state of Arizona, just didn't feel good about breaking a law every time I left my house, so I went ahead and filled out the forms and took the course and handed over my fingerprint card and my money in exchange for the permission slip. I'm not sure why, but I've never felt particularly comfortable knowing that my prints are on file in some federal office somewhere. Is there an official, legal way to get the FBI to shred my personal info, now that I no longer need this permission slip, or is it there forever and always? P.S. : When I was a teenager, I visited your Great State, and was surprised to see people "openly carrying" their sidearms. It dawned on me right away how SAFE I felt, and have always been a little jealous. God Bless, and Shoot Straight. --John T.